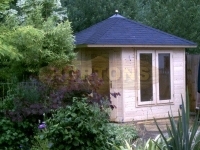 UK Log Cabins aim to provide the widest range of quality log cabins and summer houses for sale. As experienced suppliers, we’ve been designing and constructing timber framed buildings for over 35 years, developing and refining our product range throughout. When the weather is fine and the warmer months are on their way, there’s nothing quite like spending more time in the garden. A summer house will allow you to enjoy your garden to the full, whether you use it as a place to sit and read, for quiet contemplation or to store garden tools. 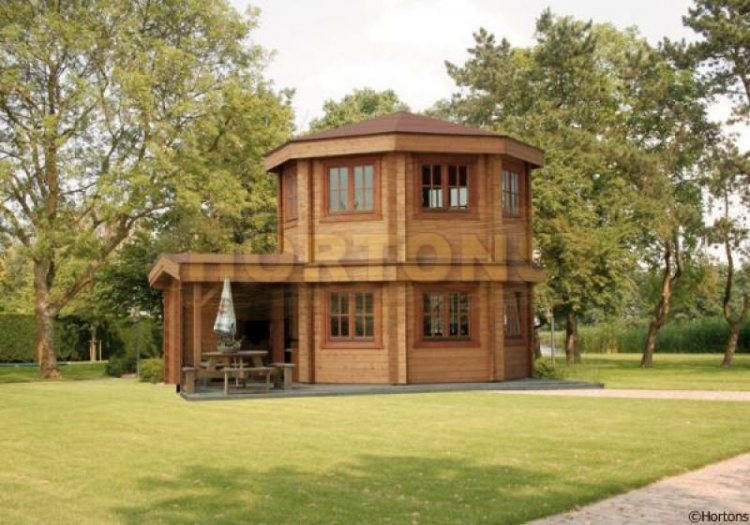 At UK Log Cabins, we can supply leading summer house brands such as Lugarde, Bertsch Holzbau, Mercia and Finnforest/Finnlife as well as our own high quality products. 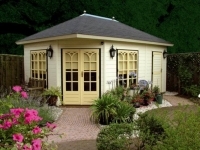 Our timber garden buildings range from traditional to contemporary designs and are built to last. We fully understand the importance of delivering products that meet your needs exactly, both in terms of aesthetics and functionality. 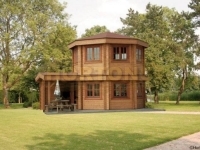 That’s why our customers are encouraged to discuss their specifications for a timber summer house with us at right at the beginning, giving us the opportunity to provide you with the best advice for all the possible options. 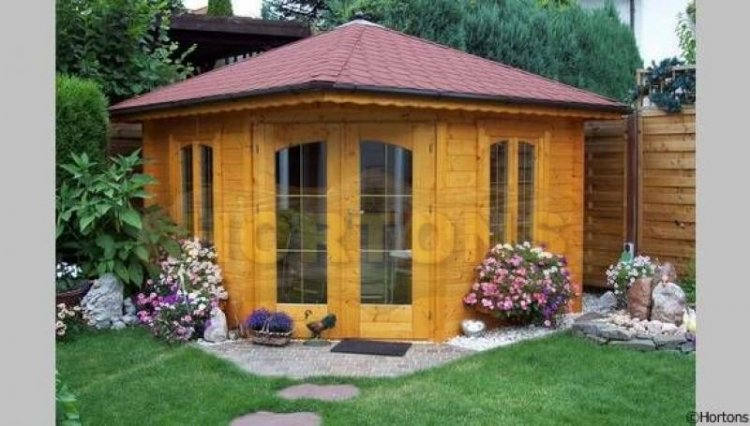 The extensive range of modern summer houses supplied by UK Log Cabins include units that can be framed and clad, or feature slotted and interlocking log construction. 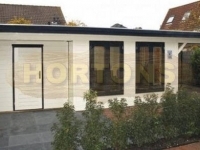 Our models come as standard solutions, but we can also customise your chosen structure with accessories such as verandas and high-performance double glazed thermos glass. It goes without saying that all add-ons will use the same superior materials and building techniques as the rest of the building. 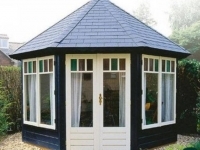 Available in a diverse range of styles, we have summer houses to suit all budgets and locations. 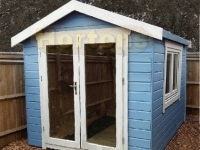 With several decades of experience of the timber framed buildings industry, we are experts at supplying all kinds of garden buildings including summer houses, BBQ huts, timber garden offices, playhouses, log cabin storage sheds and garages. We take great pride in the quality of all our products in terms of visual appeal, performance and sustainability. We use environmentally responsible materials for constructing our log cabin summer houses. Our timber is sourced sustainably and, wherever possible, locally, to help us to lower our carbon footprint and minimise any harmful environmental effects. Our timber framed summer houses provide excellent value for money, being quicker and more economical to design and erect than many alternatives. Free delivery to most UK locations is included in the price. We operate a competitive pricing policy, meaning that we will always do our best to match or even beat other suppliers’ rates for the same product. 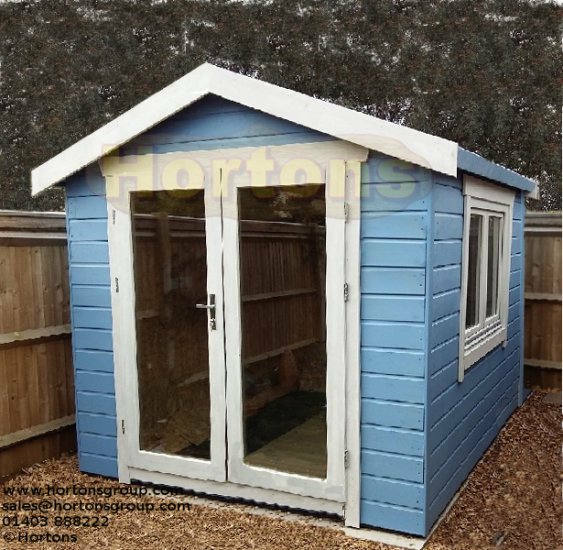 For a great selection of timber summer houses, garden rooms, octagonal summer houses, flat roof summer houses BBQ huts and much more besides, visit our large display site near Horsham, West Sussex. Here, you will find a wide choice of traditional and contemporary summer houses to explore including 3 corner summer houses on display. 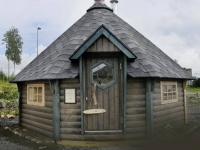 The UK Log Cabins showground is open 7 days a week. 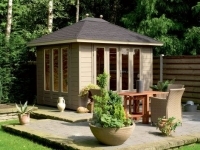 Feel free to pop in weekdays 9am-5pm or Sundays 11am-5pm for a browse – our friendly, knowledgeable sales team will be available to answer any queries and advise on the best wooden summer house for your garden. 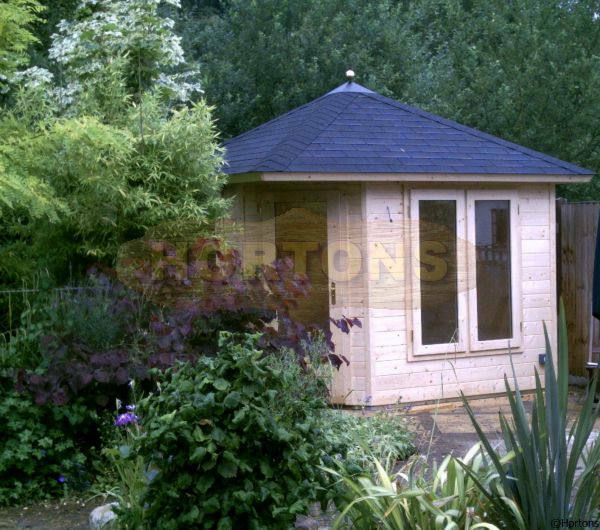 For an overview of the extensive choice available, take a look at our log cabin summer house product range below. The online catalogue contains detailed information on all our summer houses, including size and height specifications, as well as the option to buy online. 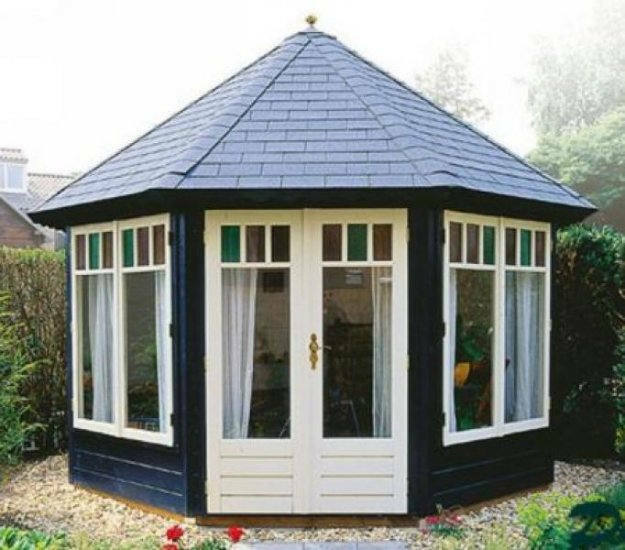 For advice and details of any of our log cabin garden buildings including summer houses, corner summer houses, oval summer houses and BBQ huts, please call 01293 822722 or send a short email via our Contact Us form. 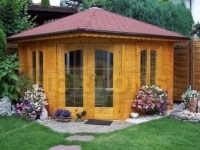 We supply high quality wooden garden buildings. With experience providing outdoor timber structures to customers across the South of England and the rest of the UK, we are happy to provide you with any advice you need.